The hilariously compelling memoir that was hailed as an instant classic. ‘The first time I see drunks beat up my father I’m six and standing at the bend in the stairs. 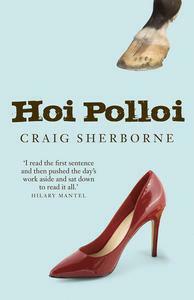 I press my face against my mother’s waist but with one eye I watch as they headlock him from behind at reception because he’s ordered them out of his pub.’ Hoi Polloi recounts a childhood spent on racetracks and in bars, as the author’s parents struggle to climb the social ladder. It begins in 1968 in the small town of Heritage, New Zealand. Living above the bar of his family’s hotel, the young Craig is exposed to violence, drinking and murky racial politics. His parents, whom Sherborne thinks of as ‘Winks’ and ‘Heels’ in his eccentric personal language, decide to sell the hotel and move to Sydney, Australia - which they imagine as New Zealand’s ‘England’, a place of boundless wealth, prestige and social opportunities. Once in Sydney, the family begins a love affair with the racing scene. Written with extraordinary sympathy and verve, Hoi Polloi is the portrait of an extraordinary childhood - brutal, poignant and unforgettable.